and to do so for the right reasons. This appointment will allow you to meet me before deciding to proceed into therapy and for me to assess how to best present this programme to help you. This also provides you with the opportunity to answer any questions you may have and to clarify your understanding of what this therapy focuses on. The 'Power of Change' programme is unique and very powerful for those who commit to it. For many, the changes are quick, intense and very productive. To ensure that you will benefit most from working with this programme, we need to assess the suitability of this programme based your circumstances and discuss the possible outcomes for you. More importantly, the assessment is when the groundwork is done to ensure the best possible outcome. Through the discussion, the intentions and readiness of change is focused for optimal progress. You have the options of making an appointment for an assessment only or for an assessment flowing into a full session. © 2005-2010, Pauline Kam, True Essence. All rights reserved. Last updated: on 8 August 2010. This is a paragraph of text. This is a paragraph of text. This is a paragraph of text. This is a paragraph of text. This is a paragraph of text. This is a paragraph of text. This is a paragraph of text. This is a paragraph of text. This is a paragraph of text. This is a paragraph of text. This is a paragraph of text. This is a paragraph of text. This is a paragraph of text. This is a paragraph of text. This is a paragraph of text. This is a paragraph of text. This is a paragraph of text. This is a hidden text. This is a hidden text. This is a hidden text. This is a hidden text. This is a hidden text. This is a hidden text. This is a hidden text. This is a hidden text. This is a hidden text. This is a hidden text. This is a hidden text. This is a hidden text. This is a hidden text. This is a hidden text. 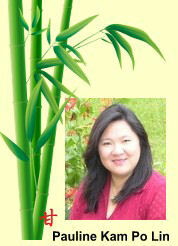 RET was developed by Pauline Kam over the last 9 years. Derived from the aspects that work from different modalities in which she trained in.